At the current moment, the dominant attribute in our common talk of God is typically love. Love is also at the center of a number of recent academic treatments of the doctrine of God and especially a number of the revisions of that doctrine in the 20th Century. What’s more, that God is centrally and fundamentally love is taken by many to mean that God is relational. And for Trinitarians, that shouldn’t be too much of a problem. God is relational all the way down. But one of the great burdens of Kevin Vanhoozer’s work Remythologizing Theology is to show that the current model of a relational God meant to replace “classical theism” does what all onto-theologies do–take a metaphysical concept from without Scripture and read Scripture’s witness to God in that light. 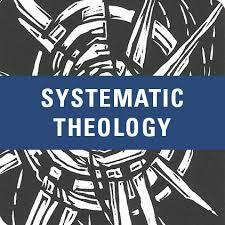 In this case, we take modern definitions of relationality as necessarily including mutuality, vulnerability, and so forth, and in that light, deliver us into the hands of a suffering and empathetic God. Here is much of the thrust behind various process, panentheist, and Open theist models on offer. This is Love. Now it seems to me that this passage lies so close to hand, remains so familiar from every wedding and so many burials, that we overlook one of its most striking features. The love praised here, the more excellent way, does not envision an object at all–how odd that we read it at weddings!–nor does it speak of mutuality, indeed of passibility, in any fashion. St. Paul’s love is supremely invulnerable, impervious to another we might dare say. Perfect love is invincibly objectless, immutual, perdurant. It never ends–it alone is eternal against all the gifts of the Spirit, prophecy, and tongues and knowledge. It is adamantine. Paul picks out with two quick strokes the positive traits of love, patience and kindness. Surely a quiet evocation of hesed. God’s loving-kindness! Then the apostle turns to what we might think of as love’s negative predicates: it is not envious or proud or coarse; not ill-tempered, variable, stubborn; not immoral, sadistic, cruel, and petty; not weak. Love is recognized in its ready delight for the truth, the good; they are twins. In all its ways, love remains unflinching, undeterred. It is supremely confident, twinned with hope and trust. Love has been prised loose from all self-seeking, from the burdens, sometimes frightful, so often small and miserable, that infect our loving, from the anger and resentment that course through our most ardent loves, from the submission to what we call facts in this proudly “realistic” life of ours–ingratitude, unsuitability, meanness. Love, Paul tells us, simply withstands, endures, triumphs. It abides as the greatest, the uncontested, the supreme. Love is self-same, thoroughly itself, constant, unswerving, true. Who cannot see, in all these things, that love, this perfect Love of the apostle Paul, is simply another Name for God? God alone is this Love, this more excellent way–we could hardly expect anything else. God’s passionate Love, Paul tells us, is invulnerable in just this particular way to us and to our loveless ways; supremely independent of us and our indifference; utterly triumphant over our blindness, instability, and infidelity; zealous for the right; eternal. This is Divine Nature, personal Passion, victorious Love. Wrath for the good. It is the One Love triumphant over every defilement, injustice, and cunning: it defends the orphan and the little one with fiery Mercy, raging Justice. This Divine Love waits on no one, needs nothing, bends to no condition or limit. Love that is God scorches through the infinite spheres, boundless, eternal Holiness. Love crowns the Divine Perfections; it abounds. Before commenting, for those interested, yes, this sort of tremendous, cavernous, doxological prose is lavishly scattered throughout the whole of her work. It’s a beautifully executed work, in that sense. Rigorous though it is, nothing could be further from the stereotype of a “dry” academic work than Sonderegger’s elegant volume. Now, the context of this passage is Sonderegger’s challenge to the common claim that love requires an object. In the hands of most theologians looking to avoid a needy, co-dependent God, or the idea that God only becomes loving upon creating something other than himself, this leads us to the conclusion that in order to properly expound the love of God we must turn to the doctrine of the Trinity. Only the God who is perfectly, Father, Son, and Spirit can be Love in the fullest sense, with a life that is perfect, complete in itself and for itself before all of creation. Sonderegger wants to claim that we can think of love monotheistically according to God’s oneness (though not contrary to His threeness). To this–as Sonderegger herself might put it–we must gently but firmly say, “No.” Ultimately, I do think the Love that God is, can only be properly thought through on trinitarian grounds. While Sonderegger speaks of the lack “mutuality” in the passage, that may be, but there is a certainly a directional “communicativity” that seems to imply an object. What’s more, Sonderegger also wants to affirm emotions or affections as something we can speak of God. Still, that shouldn’t be taken in the modern, passibilist sense. I think she’d want to sign off on something along these lines, in order to affirm much of what the tradition has held, while not running roughshod over the language of Scripture. All the same, Sonderegger has put her finger on something in this passage. Paul gives us this striking picture of love that is good news precisely because of its imperviousness. Love, here, is not trumpeted as the exposed, hyper-sensitive, vulnerability that our culture puts a premium on. It is fullness; an overflowing invulnerability that is unflappable in its will to communicate the good to those who have spurned it. In this passage we are presented with an analogue to the Love found in God’s sovereign determination to give his life, life, and very Self to his creatures, despite any obstacles to contrary. It is precisely this kind of adamantine love that can sustain the movement of the God in the flesh, in order to assume all that is changeable, passible, and vulnerable, in order to redeem it on our behalf.